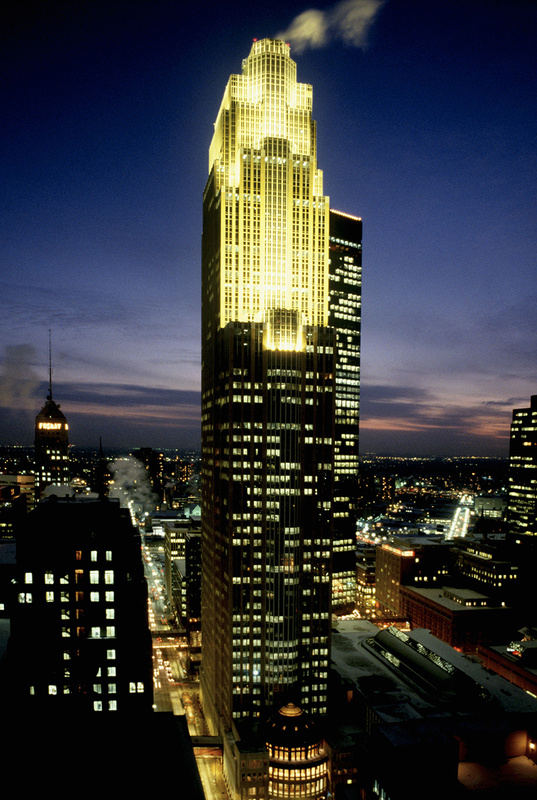 Built on the site of the 1982 Thanksgiving eve fire which destroyed the old Northwestern National Bank Building, this 57-story tower’s design champions the traditional art deco feel of the American skyscrapers of the 1920s. 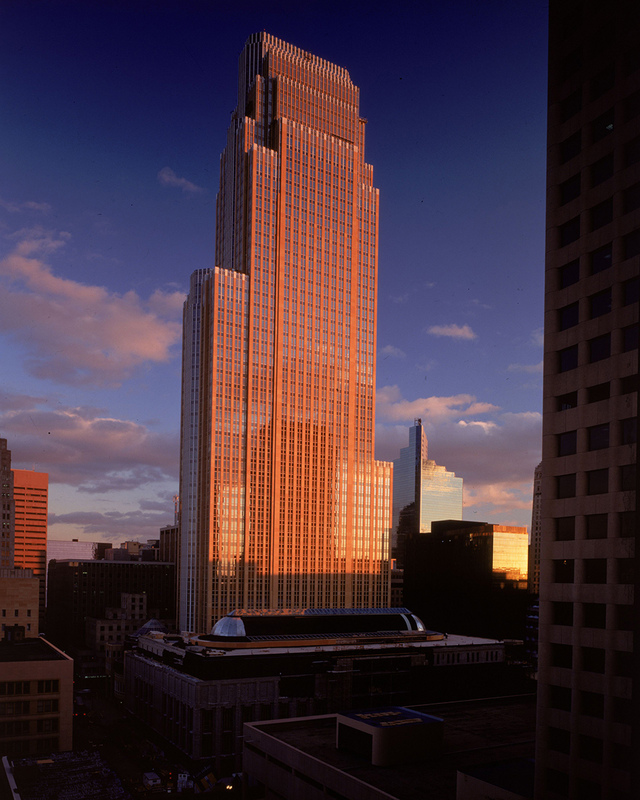 At the same time, the artful use of white marble accents combined with vertical ribbons of glass and local Kasota stone makes this a very contemporary interpretation of the classic skyscraper that provides a very modern interior workplace. 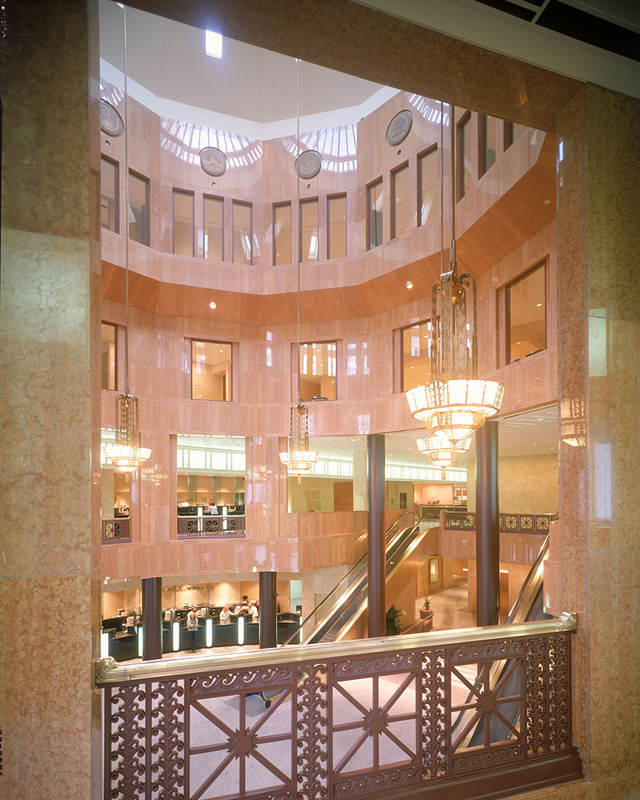 The building lobby also conveys an aesthetic that has a traditional and yet modern feel. Artifacts from the old bank building are installed in the new 100-foot tall grand entry rotunda to pay homage to the buildings architectural heritage.